For many people, I imagine, Mr.Micawber’s pronouncement expresses one of the givens of happiness. Money may not make you happy – indeed, it’s worth noting that Micawber doesn’t want a lot of money, just enough, or a bit more than enough. But without enough money, it’s very difficult indeed to be happy. This is certainly true for me. I want not to have to worry about money. But I don’t want a lot of it. I feel sure that too much would make me miserable. 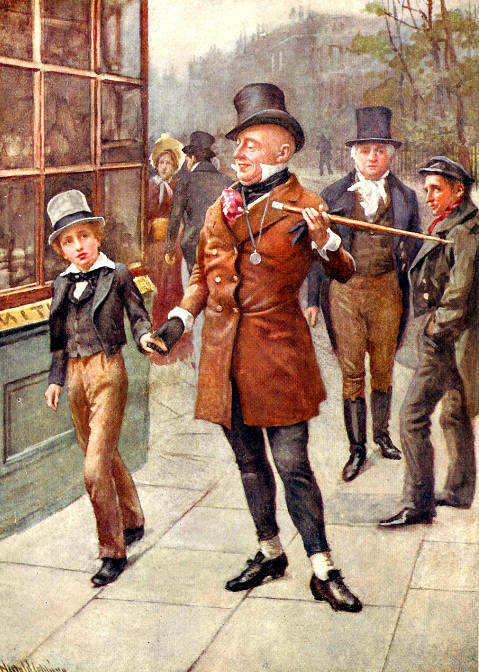 Mr. Micawber Conducts David Home, by Harold Copping, 1924.